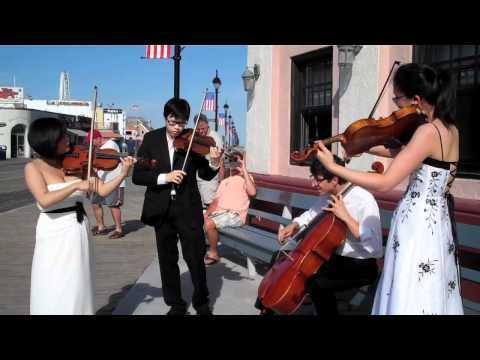 This week, From the Top is at the Music Pier in Ocean City, New Jersey, joined by the Ocean City Pops under the direction of William Scheible. You’ll hear a 16-year-old violinist play Wieniawski with the orchestra and an 18-year-old pianist play Bach. Also, the junior division winners of this year’s Fischoff National Chamber Music Competition join Christopher O’Riley to perform Dvořák and a teenage trumpeter teams up with Pops conductor William Scheible to play the music of Vivaldi.